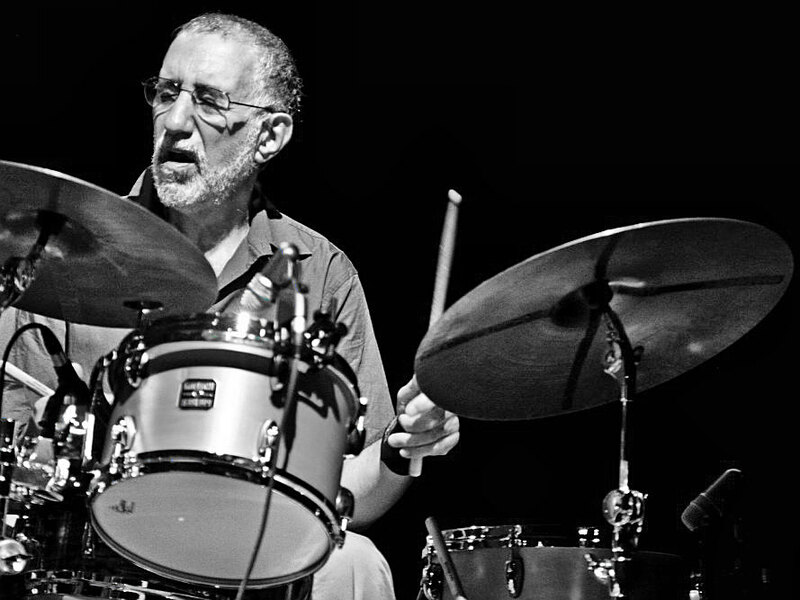 Veteran jazz drummer Eliot Zigmund has enjoyed a wide and varied careeer in jazz spanning forty years of playing. Past and present associations with artists include Bill Evans, Michel Petrucciani, Vince Guaraldi, Jim Hall, Stan Getz, Benny Golson, Richie Beirach, David Berkman, Gene Bertrocini, Eddie Gomez, Bobby Watson, Eddie Henderson, Enrico Pieranunzi, Dado Maroni, Jed Levy, Bobby Porcelli, Michael Kanan, Mauro Negri, Paolo Birro, Lee Konitz, Don Friedman, Fred Hersch, Art Lande, Helen Merrill, Ted Rosenthal, Pete Malinverni, Lorenzo Conte, Cameron Brown, Warren Vache and many others. Born 1945 in the Bronx, Eliot grew up in the fertile New York jazz scene of the 50’s and 60’s and began playing professionally at the age of 15 with an older brother who was an aspiring jazz guitarist. He studied music at both the Mannes College of Music and at the City College of New York and upon receiving his degree from CCNY in 1968, he devoted himself to pursuing his dream of becoming a jazz musician. He currently resides in Teaneck, New Jersey with his wife Anna. Eliot has been a sideman on many recordings and has also released three albums under his own name including his just released Steeplechase recording titled “Breeze”, featuring Gary Versace, Mike Lee and Phil Polumbi. Eliot Zigmund demonstrates "Fidock Fat Boy Snare Drum"
Eliot maintains a busy playing career within the New York scene and internationally.